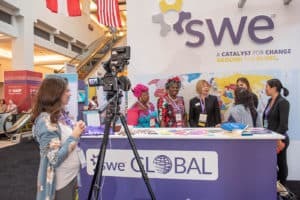 SWE wanted to remind its members why “They’re with SWE.” So they partnered with David James Group (DJG) to develop a concept that would elevate member engagement and interaction at the conference onsite, as well as encouraging members to reconnect with the society. 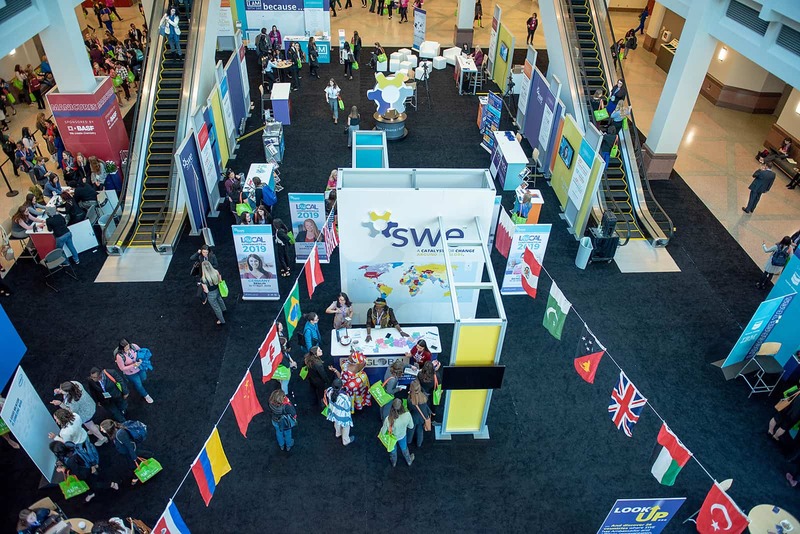 The Spark Center was a concept that gave members an opportunity to ask questions onsite at SWE’s annual conference. 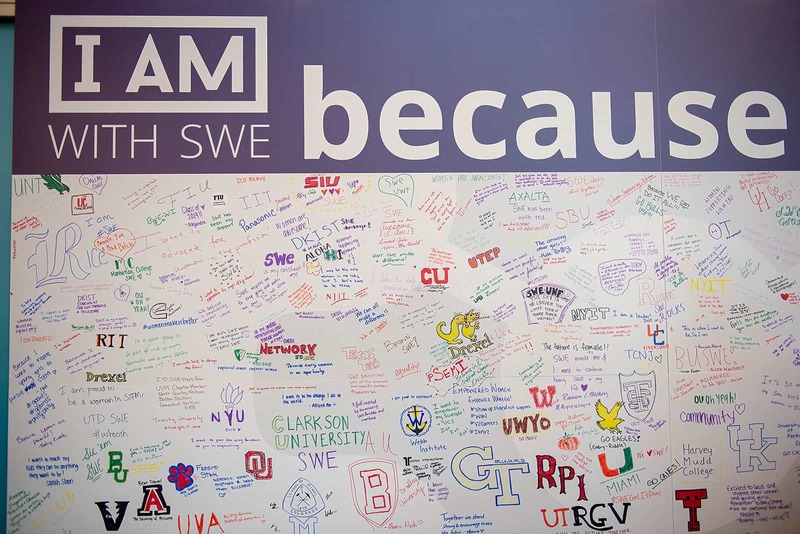 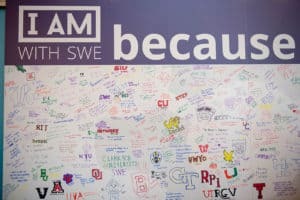 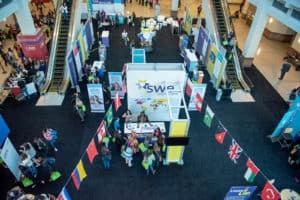 It's implementation at WE18 made it into a fun and lively destination where current members could talk to Society leaders, learn more about SWE's benefits, and participate in exciting interactive activities. 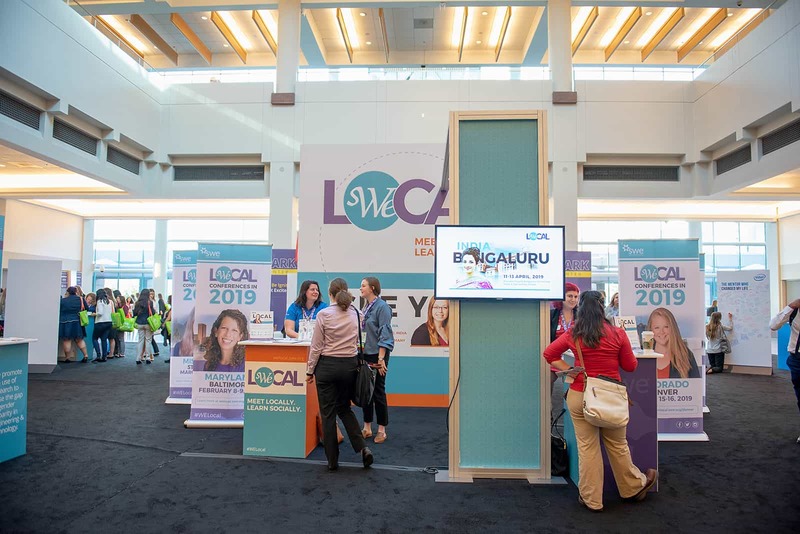 DJG worked with a partner vendor to create a structural concept that featured an interactive layout. Once the structure was confirmed, DJG developed the creative concept for the Spark Center that remained on brand, yet stood out as a unique feature within the conference. Each program area of the society was represented, from outreach to professional development to research to diversity and inclusion. SWE’s events throughout the year were highlighted and we made it clear that this was a global, inclusive organization with members spanning dozens of countries. 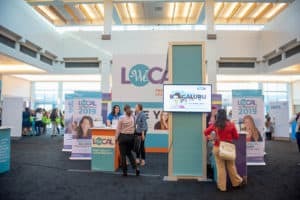 The Spark Center seamlessly invited people in and encouraged them to browse the entire area, learning more about member benefits and talking with society leaders. 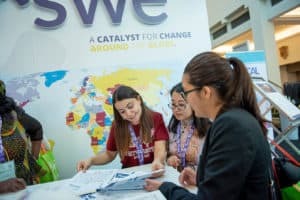 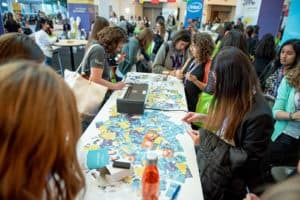 There were interactive activities sprinkled throughout to emphasize the strong role that SWE plays in these women’s personal and professional lives. 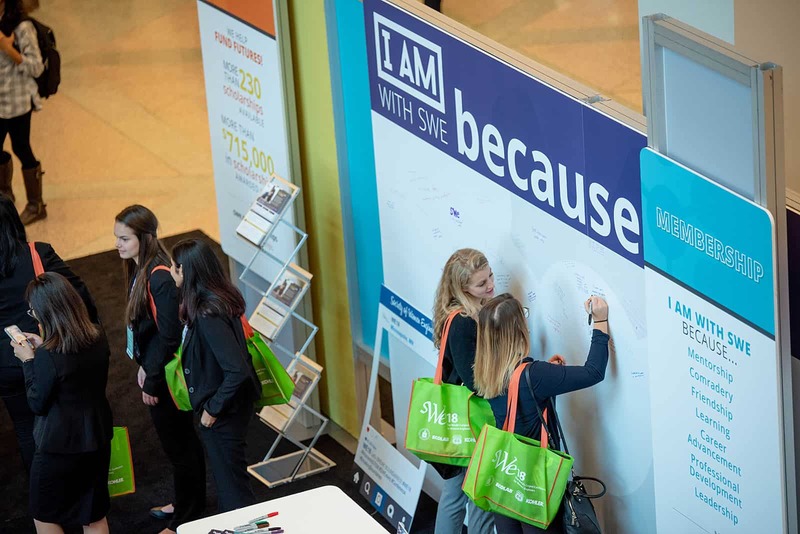 In addition to foot traffic, DJG utilized its content channels to raise awareness of The Spark Center. We put out a video just before the conference started to show attendees what they could experience in the next few days. 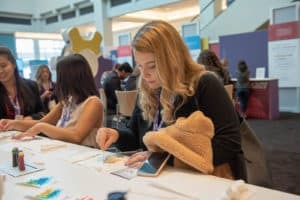 Additionally, social media posts pushed people to The Spark Center throughout the conference for special events and opportunities to interact with key society leadership. 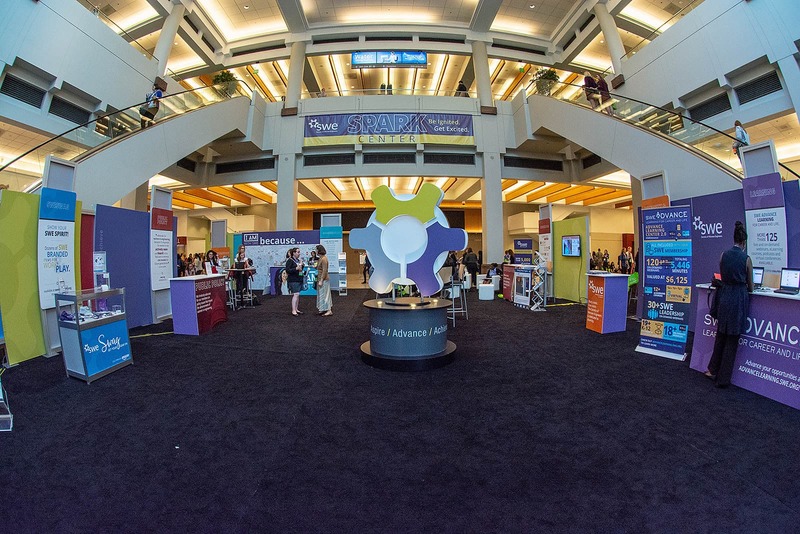 The Spark Center was the talk of the conference and nearly half of conference attendees visited throughout the week. 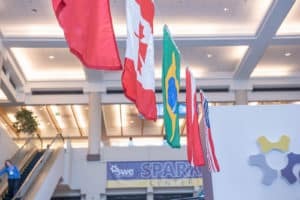 The average attendee visited The Spark Center 1-3 times during the conference, and average dwell time was 22.8 minutes per visit. 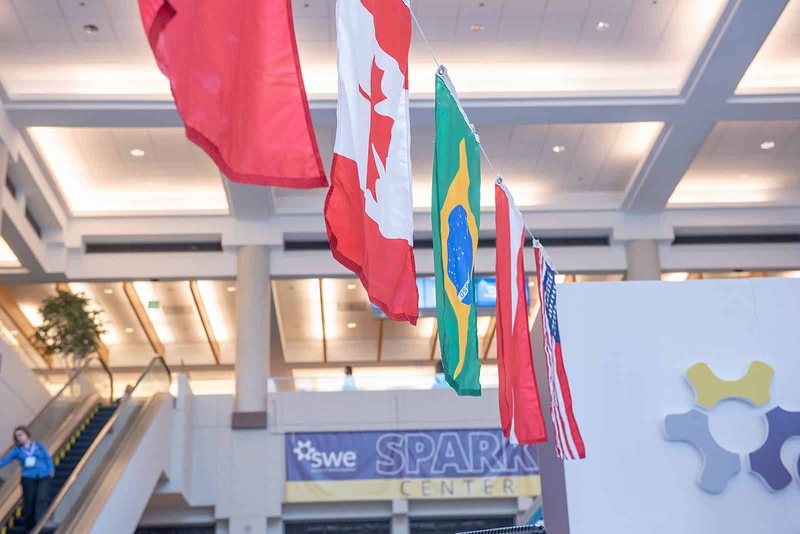 The Spark Center was a destination where current members were reminded of why they are a member of SWE and where potential members could learn more about the society and what it can do for them. 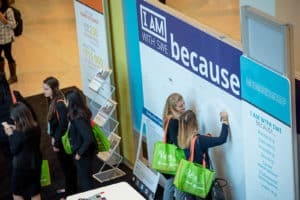 Email us or use our live chat feature below to learn more about how you can cause a stir with a member engagement campaign at your conference.